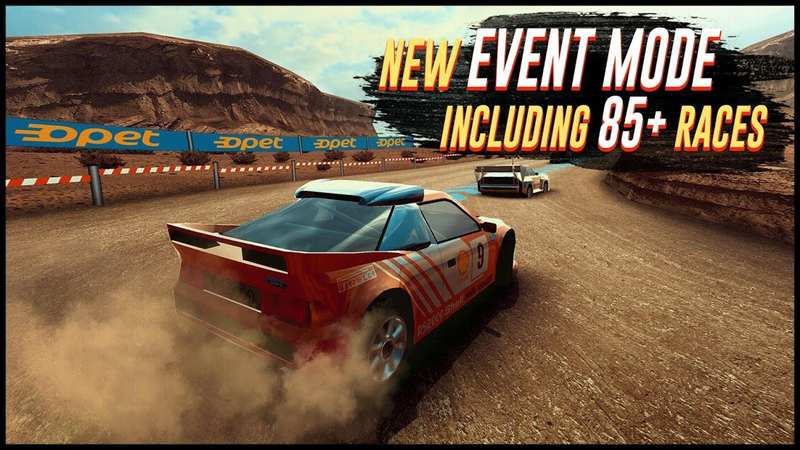 You can join the races with the vehicle of your choice from 17 realistically made super vehicles. 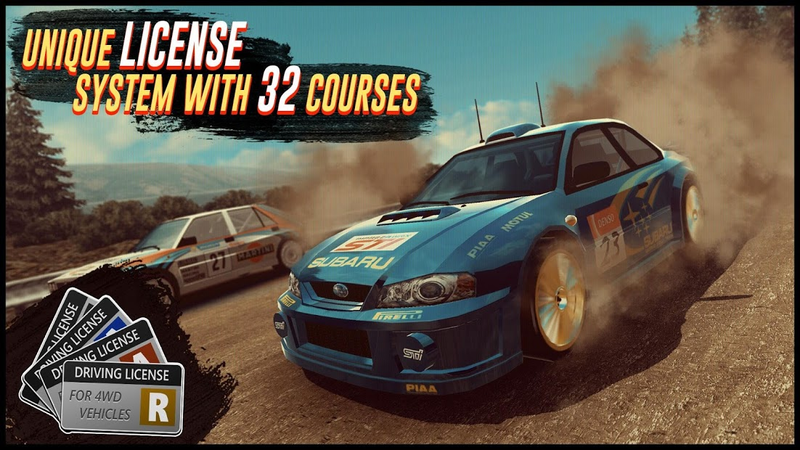 including Audi Quattro S1, Subaru Imprezza STI, Mitsubishi Lancer EVO VI, MG 6R4, Lancia Stratos. 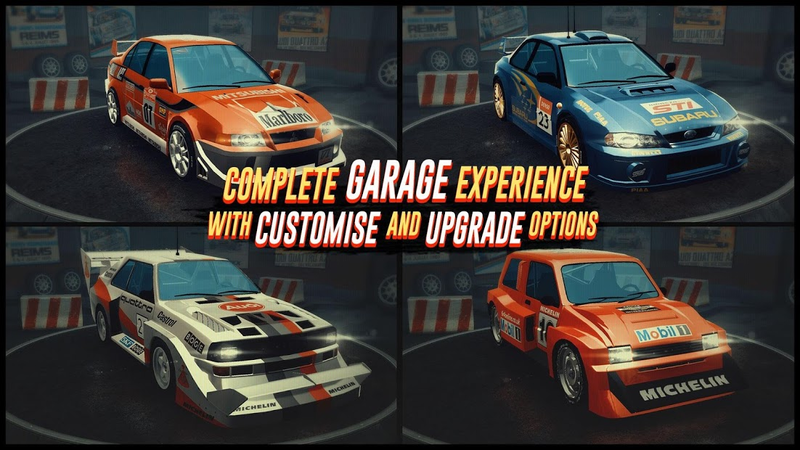 There will be upgrade and customization options waiting for you to express your style in many exciting races. *17 rally vehicles with customise and upgrade options. 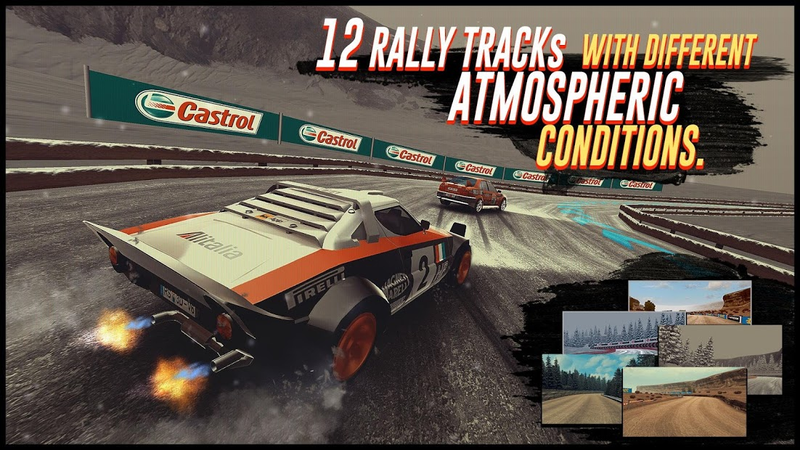 *12 racing tracks with different athmospheric conditions. *Realistic physics with consistent vehicle behaviours and easy to learn game-play.